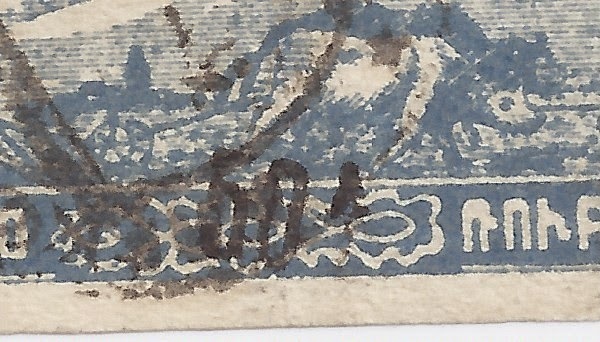 Most forged overprints on First Yessayan stamps are easy to detect: either they are on forged basic stamps or the overprints are very different from the genuine ones. 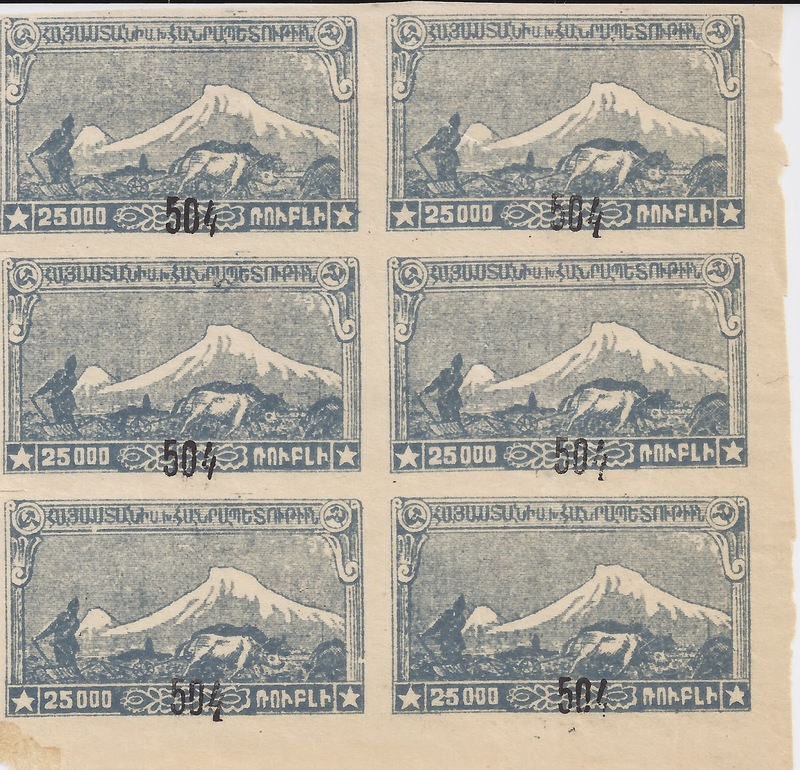 Of course, there is still a good market for these forgeries on ebay and all over the world there are people who have paid fifty dollars for a stamp I would sell them for fifty cents. There are numerous differences which you can see if you examine from left to right. 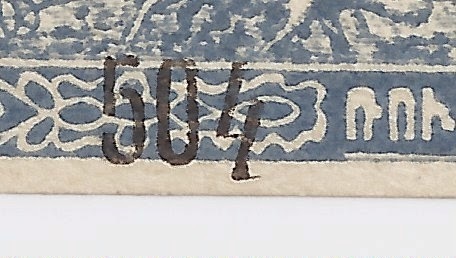 Look at the shape of the "0" for example. 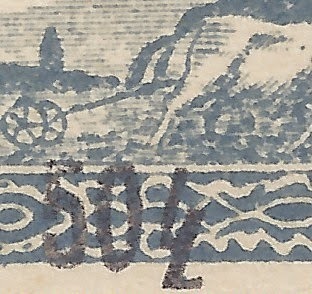 In addition, and not so clear from my scans, is the fact that the ink is wrong on the forgery: it is a paler blue-black or grey-black. 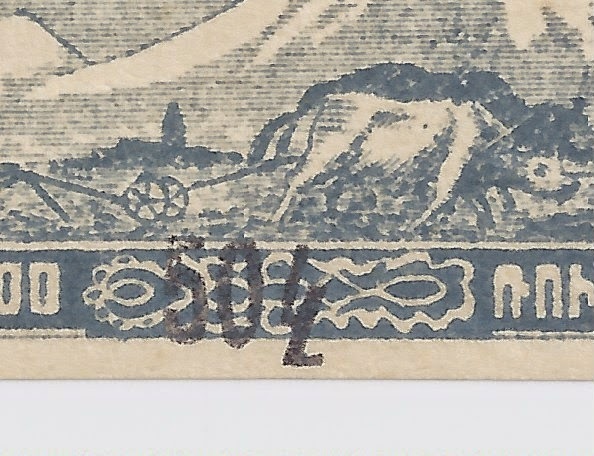 But the genuine overprint is always in a fairly intense black, not diluted.This is the difference I look for first and the left to right examination then confirms it.